Headquartered in Houston Boris Popov LLC is registered to provide services in the US mainland and Puerto Rico. Our firm specializes in audit, tax and financial reporting services for variety of industries. 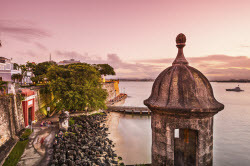 Whether you’re a trader in securities, commodities and electricity contracts, or export services provider under Act 20 in Puerto Rico, we will provide you with high quality and low cost services. We bring extensive experience and professionalism to every client and customize our approach to your individual needs and concerns. We have developed our expertise working for the best firms in our profession. At the same time our low overhead allows us to provide our services at very competitive rates. Use the form below to contact us regarding your enquiry. Please be as detailed as possible. Include your industry along with any specific document requests. You may also email or call us to make an appointment.